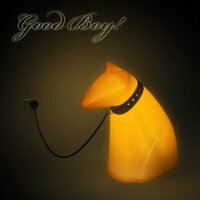 For those who love having something fancy in their homes, there is always the Guide Dog Lamp concept that lights up whenever you whistle, just like how a real life pooch perks up the moment it hears it’s master enter the room. This concept hopes to approach technology from a more human approach instead of just being cold and unfeeling like many other devices. How many of you would like to see this Nicolas Gonzalez Garrido designed lamp in your living rooms?